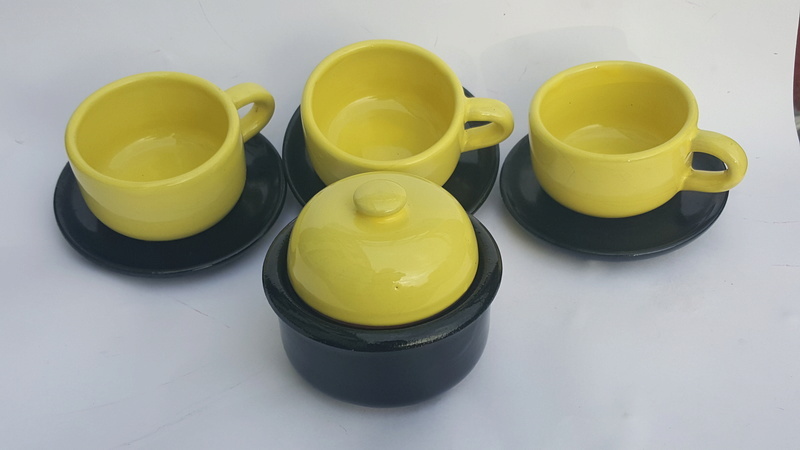 I have some yellow ceramic tea/coffee cups with black saucers and a matching black sugar bowl with yellow lid. Very unusual and looking like they could be 1960s. 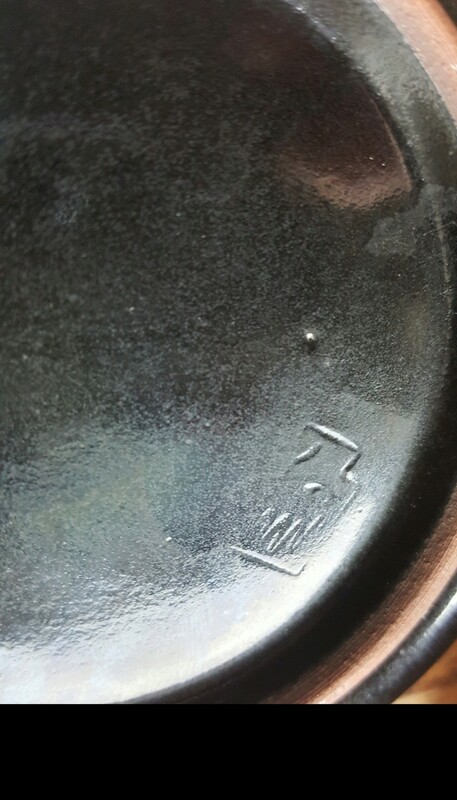 On the base of the saucer is an indented mark that looks like a hand with a small circle/indent dot in the middle. 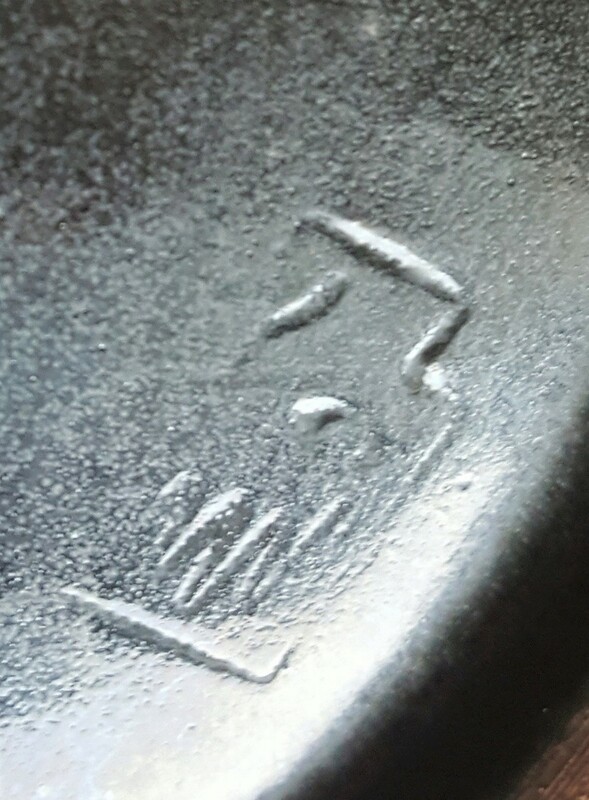 This symbol has a type of square shape around it.